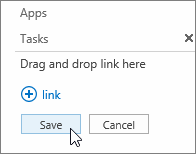 The Sync to Outlook button in any SharePoint Online tasks list. The Tasks link in the About me section of the user profile page. 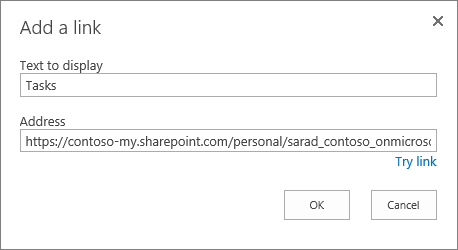 The Sync to Outlook button is present on the personal site tasks list but the control is disabled. 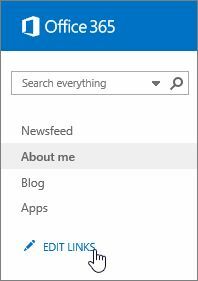 In Office 365, click your profile picture, and then click About me. On the Quick Launch bar, click EDIT LINKS. In the Text to display box, type Tasks. In the Address box, type the following URL. Replace the placeholder text by using information that's specific to your account. Click OK, and then click Save to save your changes. 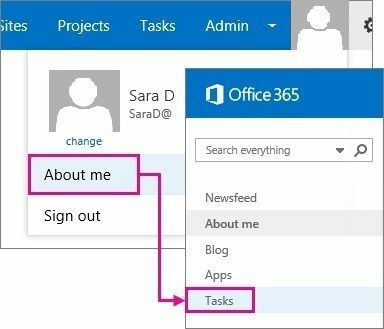 The Tasks menu option has been removed from SharePoint Online. 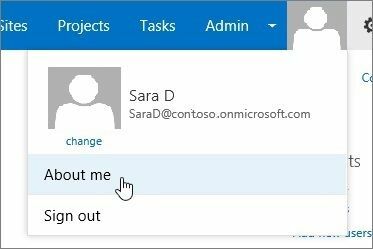 Additionally, the Sync to Outlook button on the personal site Tasks page is no longer available. The button may be present in the ribbon but the control is unavailable and doesn't function. The personal Tasks page will also continue to be available for one year following the announcement that was made on September 4, 2014. After that time, this functionality will be removed and will no longer be available or supported.